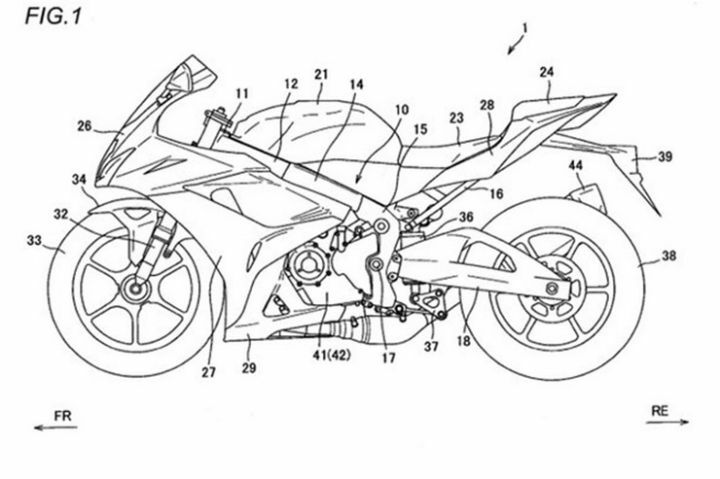 Leaked patent images that point towards a slew of mechanical updates for the Suzuki GSX-R1000 have emerged. They suggest that the superbike’s engine will get a new variable valve timing (VVT) mechanism that is based on a hydraulic cam-phasing system. This contrasts with the fully mechanical VVT system currently seen on the bike. News of the update might come across as surprising to some given the current GSX-R1000 was introduced as recently as 2017. Also read: Is Suzuki Working On A New Hayabusa? That said, there are some compelling reasons for Suzuki to push an update to the GSX-R1000 so early in its lifecycle. Chief among them is complying with Euro V emission norms, which are set to be enforced from 1 January, 2020. A VVT-enabled engine offers better combustion efficiency, which means lower amounts of unburnt gases are released via the exhaust. A hydraulic VVT system should improve the GSX-R1000’s emission performance, thus making it compliant with the Euro V norms. 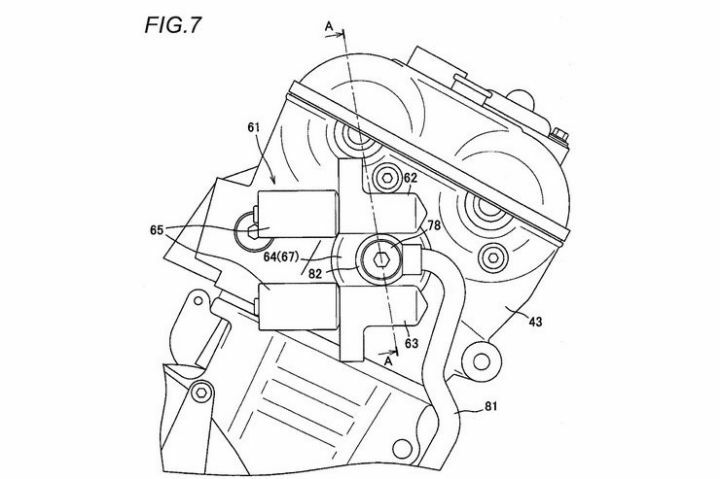 Dispensing with the all-mechanical VVT system in favour of a hydraulic VVT is also likely to give the GSX-R1000 higher peak power in addition to better low- and mid-range torque. Together with the ever-tightening emission norms, these factors have made variable valve timing the next area of focus in the highly-competitive superbike segment. 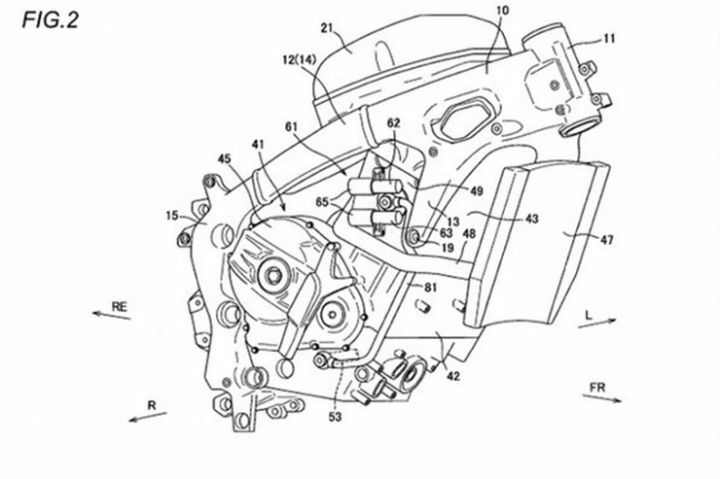 The 2019 BMW S1000RR has already taken the lead here by adding variable valve lift, duration and timing to its repertoire while Honda recently filed a patent for a VVT-equipped Fireblade. The GSX-R1000’s current VVT system is derived from the GSX-RR race bike as hydraulic and electronic VVT systems are banned in MotoGP. 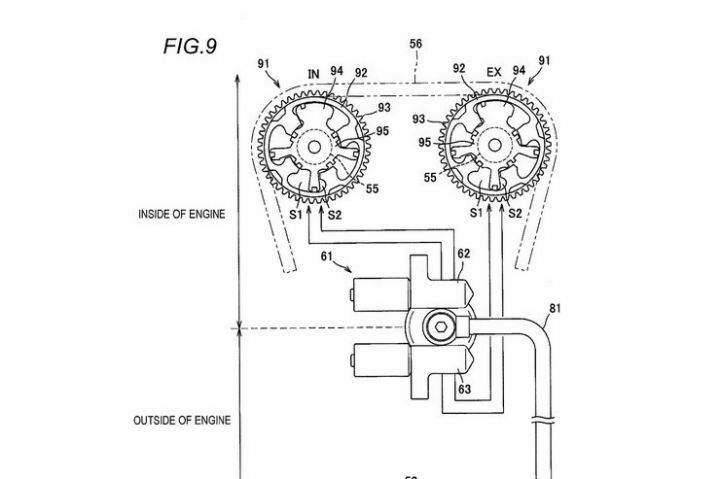 The system operates on the principle of centrifugal force, whereby metal balls inside a cam-phasing device that is attached to the camshaft’s drive sprocket are forced outwards when the intake camshaft spins faster. As the metal balls keep moving towards the outer edge, the camshaft’s timing too advances in proportion to the sprocket. Although simpler, the all-mechanical system lacks the controllability of hydraulic cam-phasing systems. It also operates only on the intake side while a hydraulic VVT system is in charge of both the intake and exhaust camshafts. We expect Suzuki to bring the updated bike to India next year. Currently, only the GSX-R1000R is sold in India. However, since it shares the same engine as the GSX-R1000, expect it to get the update as well.